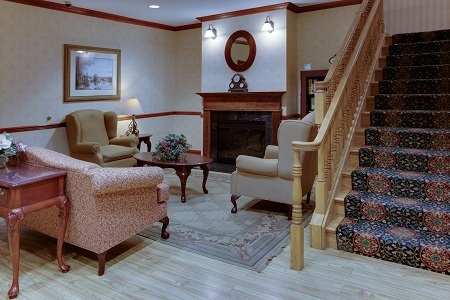 The friendly staff at the Country Inn & Suites® by Radisson, Brockton (Boston), MA welcomes you to our hotel just 20 miles south of Boston. 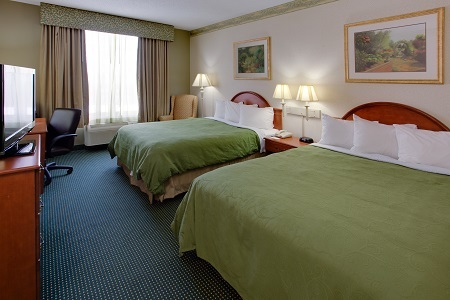 Equipped with free Wi-Fi and cable TV, our rooms and suites provide a comfortable stay near Bridgewater State University. 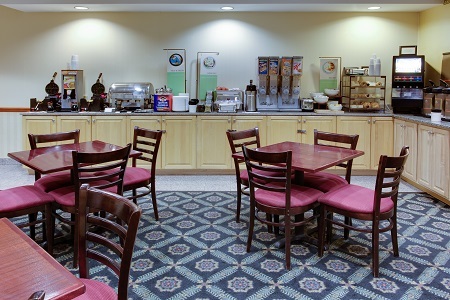 After a day of sightseeing, our plush beds, free weekday newspaper and coffee facilities make you feel at home. Please note that our hotel requires an additional $100 incidental hold on credit or debit cards upon checking in. We also do not offer truck parking at this time. Dig into fluffy waffles with syrup or fill your plate with sausage and scrambled eggs at our complimentary, hot breakfast. For those who prefer lighter fare, we offer hot and cold cereals, yogurt and fresh fruit. For lunch or dinner, visit nearby restaurants like Texas Roadhouse for a juicy steak or McMenamy Seafood for crab cakes and other coastal favorites. City of Boston – Experience the sophisticated style of the Museum of Fine Arts, step back into American history on the Freedom Trail, and round out the fun at Fenway Park. Boston, full of prestigious universities and famous for its annual marathon, lies about 20 miles north of our hotel. Fuller Craft Museum – Just five minutes away, Fuller Craft Museum exhibits an acclaimed collection of folk art and crafts created with mediums like wood, metal, paper cuttings and fiber. Bridgewater State University – Cheer on the Bears or tour the campus with your prospective student at this university. Make time to amble through the school’s Stearns/McNamara Memorial Garden off Park Street, about nine miles southeast of us. 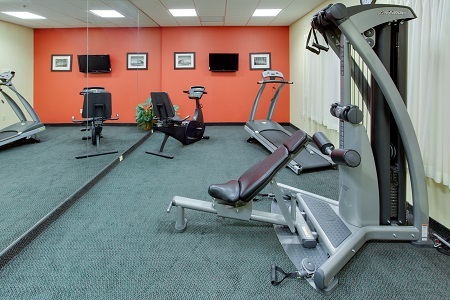 With convenient access to Boston and other attractions near the Massachusetts Bay, our hotel is ideally situated for corporate or family gatherings. Host up to 40 guests in our meeting room, and take advantage of amenities like free high-speed Internet, a customized event website for attendees and help with planning.